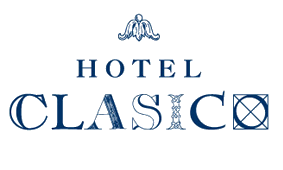 The Hotel Clásico located in Palermo Hollywood is the perfect urban haven for travelers. Through our personal assistance we will help you experiment cosmopolitan Buenos Aires with access to all of its best sites.Our front desk staff is qualified to advise our guests on the best dining, cultural and entertaining proposals available during their visit.For those who are willing to visit other places in Argentina, our staff will provide information on responsible tourist agents who will guide their adventures along the best landscapes in our country. We can also arrange personal shopping tours for those interested in the porteño style in fashion, arts or craftsmanship.At Hotel Clásico we know what you need: access to the best sites in Buenos Aires together with an excellent service framed by our trendy design atmosphere where every object has been placed to inspire.The Hotel Clásico has the ideal location both for those visiting this vibrating city for the first time and for the frequent travelers who seek easy access to their favorite sites while they enjoy a comfortable and stylish ambience.